The Allegiance to Australia Bill: necessary and appropriate? The Parliamentary Joint Committee on Intelligence and Security (PJCIS) is set to report tomorrow on the tricky matter of whether the Australian Citizenship Amendment (Allegiance to Australia) Bill 2015 is necessary and appropriate. As the inquiry has heard, the current draft has weaknesses, but with some focused revisions it should prove a valuable addition to Australia’s counterterrorism regime. In a world where states no longer have a monopoly on the use of force and Australia’s major military operation is against a conglomeration of terrorist actors, not a recognised state, it’s reasonable to consider extending the existing power to revoke citizenship—available where an Australian bears arms for a foreign power in war against Australia—to terrorism. The Bill proposes automatic loss of citizenship in three cases: where a dual national engages in terrorist conduct, fights for or in the service of a proscribed terrorist organisation, or is convicted of terrorism offences. Yet, as the Committee has heard, how this might be done is proving problematic. The arguments against the legislation fall broadly into three categories. First, that loss of citizenship should not occur automatically but instead result from an administrative process and decision by the Minister or judiciary; second, that any loss of citizenship should provide for natural justice through a notification and appeal system; and third, that loss of citizenship should only occur following a terrorism conviction by the courts. The first two are valid concerns that must be addressed for the legislation to proceed but which shouldn’t sound the Bill’s death knell; but the third criticism is wrong-footed. There are some issues with automatic loss of citizenship—Commonwealth Ombudsman Colin Neave describes automaticity as ‘legal fiction’ —and the Committee will likely find this element of the Bill needs more work. Of course there will be procedure behind any removal of citizenship, with the Immigration Department pulling together information before any decision is made. This decision should, however, remain with the Minister or their delegate, rather than a judge, as the authority to confer citizenship constitutionally resides with the Executive Government, and this is reflected in existing law concerning loss of citizenship. In the international context, the UK and Canada, which have similar political systems to Australia, rest authority for revocation with a relevant Minister; in May this year Canada revised its legislation  to remove any involvement of the judiciary in the decision to revoke citizenship, except in certain complex fraud matters. The key for the Australian Government and the Immigration Department to ensure the revised legislation is supported by a robust process and that this process is explained. As government agencies work through the mechanics of citizenship revocation, they may also find automatic loss problematic—indeed it might throw forth unintended consequences. There might be legitimate reasons for an Australian national to engage directly with a terrorist group or those supporting terrorism—such as law enforcement involvement in hostage negotiation, or undercover activities—and a mechanism that provides exemption only after the fact, as the current draft legislation proposes, unnecessarily confuses the matter. The Committee should recommend a sensible way forward on the operation of losing citizenship that identifies clear administrative decision making to support efforts to counter terrorism while avoiding a blanket approach that captures unintended targets. The second criticism is that the Bill should provide natural justice through an appeal system. Natural justice is worthy of representation. As resource-intensive as review and appeal mechanisms are, they form an essential element of the balance of power between state and citizen in a democracy. In seeking to introduce a regime without a review mechanism, Australia would be out of step with comparable countries. The UK and Canada provide for legal appeal and challenge, although both countries were constrained in their ability to do otherwise due to their human rights obligations under domestic legislation. And the experience of those countries has been anything but painless or straightforward, as we saw in the UK cases of Al Jedda  and ‘M2’ . Australia may consider choosing another path, such as internal review or independent review, rather than an appeal process, and may succeed in doing so if the operation of this mechanism has sufficient robustness and is clearly explained. There are examples of this working well in other areas of administrative decision making, such as refusing permanent visas on security grounds. 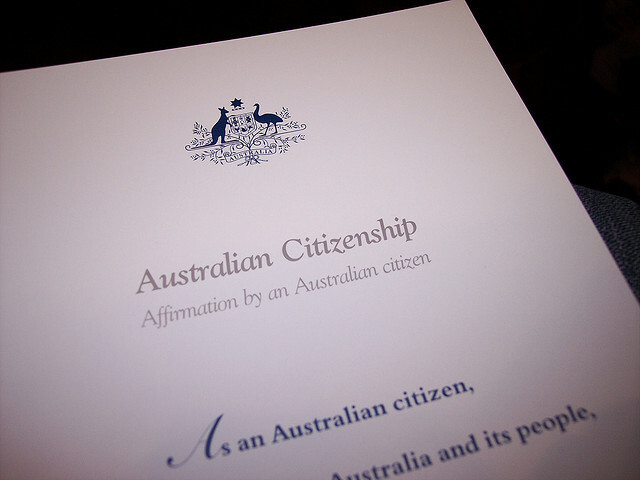 Due to the seriousness of citizenship revocation, the PJCIS might recommend a legal appeal process; should this be considered, Australia might draw from the British and Canadian experience  and apply pragmatic procedures around notification and appeal for individuals who are physically located overseas while involved in terrorism, such as foreign fighters. The third issue identified by critics is that loss of citizenship should only result from a terrorism conviction in court. It’s understandable that submissions from legal groups, in particular, highlight the role of conviction for terrorism offences in relation to citizenship revocation. The Bill includes terrorism convictions as a basis for revocation, but proposes additional grounds as convictions alone aren’t enough. Unfortunately the greatest chance of a successful terrorism conviction is after a successful attack. Recent disruption of terrorist plots in Sydney and Melbourne have been a success for police, intelligence agencies and the safety and wellbeing of Australians. But the threshold of evidence required for a successful conviction is difficult to achieve without the carnage of an attack. This is demonstrated by the relatively small number of successful charges laid and maintained once these matters go to court. This situation is compounded in cases of dual nationals operating outside Australia—such as foreign fighters in Syria and Iraq. It’s almost impossible to collect reliable information to an evidentiary standard from these conflict zones. Australia has been dealing with terrorism in its current guise for more than a decade and the challenge will continue for years to come. The test facing democracies like Australia is to utilise the full capabilities of the state to meet the challenge of terrorism. The privilege of citizenship is one instrument to deal with this complex matter. With suitable attention paid to key elements of the legislation, the Allegiance to Australia Bill has the potential to be a useful and appropriate addition to the policy tool kit wielded by Government in its fight against terrorism. Jacinta Carroll is a senior analyst at ASPI, and director of ASPI’s Counter Terrorism Policy Centre. Image courtesy of Flickr user Paul.